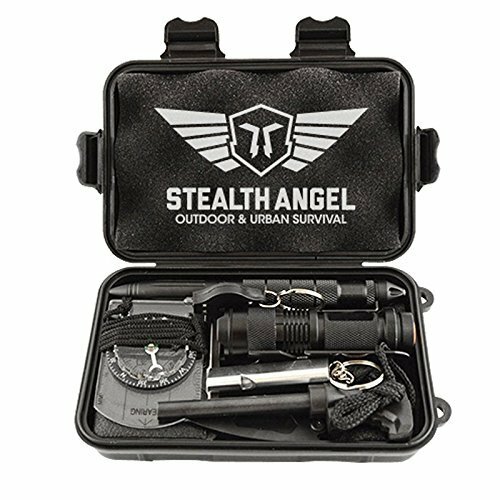 The Stealth Angel Professional 8-in-1 Survival / Everyday Carry Kit was specifically designed and developed by our experts to keep you safe in any situation. Designed and developed by our experts with additional testing and uses, this kit will keep you safe in any emergency situation. We've packed this kit into a super compact, discreet, ultra-durable, waterproof and easy to carry case that is the size of a small book. With over 1000 uses combined, this expertly assembled kit is the smartest and most compact survival kit of it's kind. If you have any questions about this product by Stealth Angel, contact us by completing and submitting the form below. If you are looking for a specif part number, please include it with your message.